I have been involved with CrossFit since 2013. Sports and being active has always been a lifestyle for me. Through my youth into my early 20’s I had the opportunity to travel throughout the US and Canada playing competitive hockey. I always craved the competitiveness amongst teammates, myself and fellow rivalries. Once that part of my life was over I found CrossFit as it filled the competitive void I was missing. For me, CrossFit challenges me both mentally and physically. It continues to push to me to my boundaries and as I overcome those challenges through every workout, I improve and grow in various other aspects of my life. Coaching CrossFit has been a pleasure over the past several years. I thoroughly enjoy helping all types of people from those who are competitive to those who are just finding fitness for the first time. No matter who, or how little the progress is, the change and growth is a tremendous experience to be apart of and I’m honored to be a part of it. I have competed at various levels of CrossFit from local competitions and fundraising events, to the 2014 CrossFit North East Regionals at Reebok World Headquarters. I have coached a wide variety of athletes from individuals whose first time in a gym was at CrossFit box to experienced athletes who competed at high levels. I have learned many things from all these various experiences and I look forward to offering my knowledge to existing and future members of Bionic. Here at Bionic we have a great group of coaches with a wide variety of experiences, education and ability. I am a firm believer in being safe, moving our bodies efficiently, and effectively so our longevity in a healthy lifestyle is not interrupted by avoidable injuries. The hardest part is making the decision to commit to being healthy. You make that commitment, we will do the rest. Our community is strong, motivating and I personally look forward to being a part of your change. 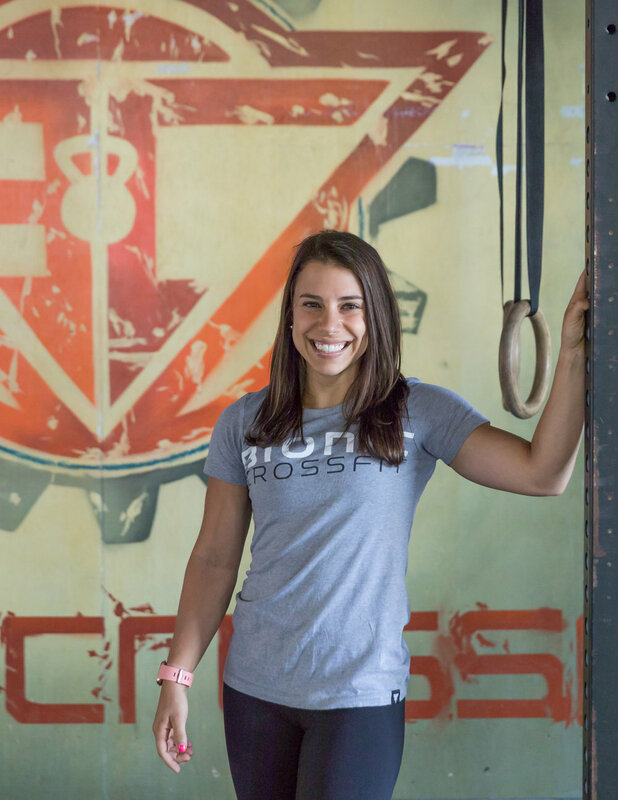 As an original member and coach at Bionic CrossFit, I have seen the growth and development of this extraordinary community since the doors opened in 2013. I have sincerely enjoyed the past three years I have spent meeting new people, coaching new athletes, and building long-lasting friendships with those that have joined our community. Each class I coach here at Bionic makes me realize more and more that the feeling of satisfaction one receives as a coach that has helped an athlete reach a new milestone in their fitness journey, whether that be a faster time on a workout, or learning a new movement they have never before performed, is one that is unparalleled by any other experience I have had in my time competing in CrossFit. 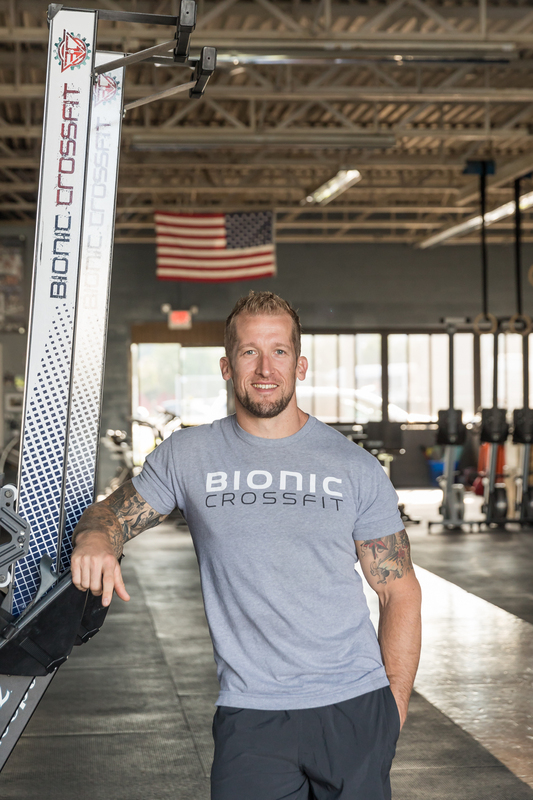 Personal accolades are great, but the one thing I have truly enjoyed more than anything else in my time in CrossFit, and specifically here at Bionic, has been making others better and helping to create a community of health and wellness. I was born and raised in Rocky Hill, CT and currently reside in Marlborough, CT. In high school, I played junior hockey for the Springfield Pics and the Connecticut Wolves. During the off season, I played lacrosse for Xavier High School and would continue onto Division II lacrosse at Saint Anselm College. The strong sense of community brought me to CrossFit. Bionic coaches and members are a team that works together in the pursuit of common fitness goals.In the spring of 2013, I pursued and completed the CrossFit Level 1 certification and have been coaching CrossFit ever since! When I am not at home with the family or at Bionic, I am coaching hockey and lacrosse at Xavier High School in Middletown, CT. I had what you could call a, “fitness epiphany,” in April of 2013. I was failing to fill the competitive void left from my time playing team sports in high school, and the elliptical just wasn’t cutting it anymore. After a Facebook post fishing for some information on nearby CrossFit gyms, a friend contacted me telling me about Bionic and that I should stop by for introductory class. Ever since that first class, I knew that this was something I was passionate about pursuing and my love affair with CrossFit has continued to this day. My passion for CrossFit led me to pursue becoming a Level 1 CrossFit trainer in October of 2014. I knew that I wanted to spread my passion for health and fitness to others and becoming a CrossFit coach seemed like the most effective way to do just that. A lot of my intrigue with health and fitness stems from the fact that I graduated from Quinnipiac University with my Doctorate in Physical Therapy in 2014. As a coach at Bionic, I have successfully transplanted my knowledge of prevention and rehabilitation of injuries through my education and professional experience in the field of physical therapy to the Bionic community through seminars and just the casual, “Hey Lauren, can you check out my (insert nagging pain location)?” I love that my career and my time spent here at Bionic coincide so well and that I have had the opportunity to work with the athletes within our community to further their knowledge of good practices for prevention and rehabilitation of injuries. I am grateful each day that I get to impact the lives of athletes and aid them in expanding their understanding of CrossFit. Nothing is as special to me as seeing someone hit a personal best and sharing in the excitement and pride they feel. I remember coming into Bionic as a newer athlete and having Coach Maggie take notice to my personal strengths. She believed in me even on the days I didn’t quite believe in myself. I knew I wanted to impact people in the same way. I started my journey in fitness as a certified personal trainer at age 17. During that time, I had the pleasure of working with a wide variety of clientele from former collegiate athletes to former models. Through this my passion for helping people achieve their personal goals grew. I would say I stumbled into CrossFit for the first time a little over 3 years ago and immediately fell in love. It gave me the feeling of playing a team sport again while re-sharpening my competitive edge. After a little under a year of starting CrossFit I decided to attend the Level 1 CrossFit certification course. I was quickly welcomed into the amazing community of Bionic CrossFit. After a few months, I obtained my Level 1 USAW Certification. Most recently, I achieved my L2 CrossFit Certification. I am currently in school to obtain my Bachelor's in Exercise Science, and ultimately finish my doctorate in Physical Therapy (DPT). My goal as a coach is to help my athletes in any way possible; to be the support system they deserve and provide the knowledge to which will aid them in achieving their goals. CrossFit to me is more than just an exercise program, it is first and foremost a community, followed by a solid foundation to guide us in achieving personal greatness. I first tried CrossFit in 2014 to train for an upcoming Tough Mudder with friends. I continued with CrossFit long after the event because of the unique workouts and programming it offers. CrossFit has changed me physically and mentally sinced I started. I was in school for engineering and realized I wasn't passionate about engineering, but was passionate about exercise and nutrition. I am currently at Central Connecticut State University pursuing a degree in Exercise Science and most recently completed the Level 1 CrossFit verification program. I enjoy training at Bionic CrossFit for many reasons. The programming is challenging but fun and I am constantly seeing improvements. The ccommunity and coaches here are very supportive. During workouts everyone is supporting each other, untill the last person finishes the workout. Also Bionic is a great place to just hang out and chill after workouts. We enjoy hanging out together inside and outside the gym.